SUPERTRAXMAG.COM - ARE SNOWMOBILE PRICES FAIR? This season marks the 30th year Supertrax has been publishing snowmobile magazines. Over the course of those three decades there's been a lot of change in our industry and fortunately, the sheer time of our involvement has given us a birds-eye view of things. One factor we've taken alarming note of is the increased cost of participation in this sport. You've probably been reading our recent rationale on how sno-mo-related prices have been increasing as technology ramps up. It’s fair to say, progress is always good – but it comes at a steep price. Going back in time three decades, we should probably ask ourselves: "Is it really more expensive to participate in this activity today than it was thirty years ago?" Here's what it looks like, but lets go back even further to a time when there was an explosion of enthusiasm for snowmobiling - the mid-1970s. This was a time when it seemed like everyone owned or at least, wanted to own, a snowmobile. Compared to today, sales stats and sheer demand was staggering. Certainly, snowmobiles were not nearly as technically sophisticated as today's are but the average price of one was about $1,400 and many baseline sleds could be purchased for under a G-Note. These seem like ridiculous prices when we look at new-sled prices today. But are they, really? In the early to mid-1970s there was a real estate boom that put the price of an average home up to about $40,000 by 1975. Certainly, some geographical areas got higher prices but some others cost less. However, in the snow-belt, rural areas where snowmobilers mostly come from, that’s pretty much the average you paid for a house. Today the same house would run you about ten times that much - somewhere around $400,000. Before you get yourself all in a knot about real estate values (most certainly some areas get a lot more for our sample house), but looking across the whole North American snow-belt in both the USA and Canada, the average is really close here. How about the average cost of the pick-up truck sitting in your driveway? In 1975 you would have paid about $4,000 for the most commonly equipped full-sized pick-up brand. Today, the average price of a similar truck has risen to about $40,000. Once again, it's fair to say the increase is close to tenfold. Lets look at snowmobile prices. 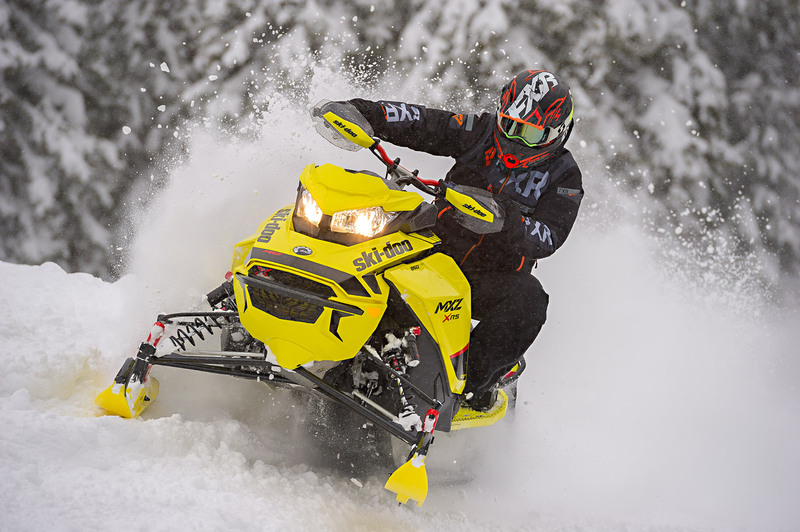 Today the average selling price of new sleds rolling out of showrooms north and south of the border is about $13,500. This takes into account high performance turbos pushing 20 grand and the lower volume, value stuff selling for under 10Gs. As mentioned, in 1975 the average was about $1,400. Hmm, close to ten times again. To make any sense of a comparison like this, you have to look at other factors that have changed the way we live. The fact is, our product expectations are a lot different than they were in 1975. This doesn't just go for snowmobiles – it tips over into the cars and trucks we purchase and the houses we live in. Today, the truck in your driveway is likely a 4x4 with air conditioning, extra cab seating and copious electronics – wasn't in 1975. The house you're sitting in while reading this would have been smaller, wouldn’t have had three bathrooms, granite countertops and a designer kitchen in 1975. What happened? Well, our demands increased. The bare minimum we required suddenly got much more full-featured. That's pretty much what has happened in the snowmobile biz. The Yamaha SL250 we would have loved in 1975 has given way to an E-TEC 600 with adjustable shocks and a digital dashboard. Yes, the cost has actually stayed in perspective but today the features and benefits of the average snowmobile have rocketed skyward. So, are snowmobiles still fairly priced? Based on comparison, we'd have to say they are. Just like always, we're the problem!